For her health's sake, St. Helens softball coach Miranda Little would prefer her club to blow out an opponent or two — and leave the last-gasp heroics at home. But the skipper knows her Lions perform best when the outcome is most in doubt. Shove the chips to the middle of the table, raise the stakes and St. Helens can meet the magnitude of the moment. Trailing 4-3 in the bottom of the sixth on Tuesday against South Albany, the Lions tied the game on a crazy Jasmyne Pense bunt single and reclaimed the lead on a Brynn Austin RBI double. 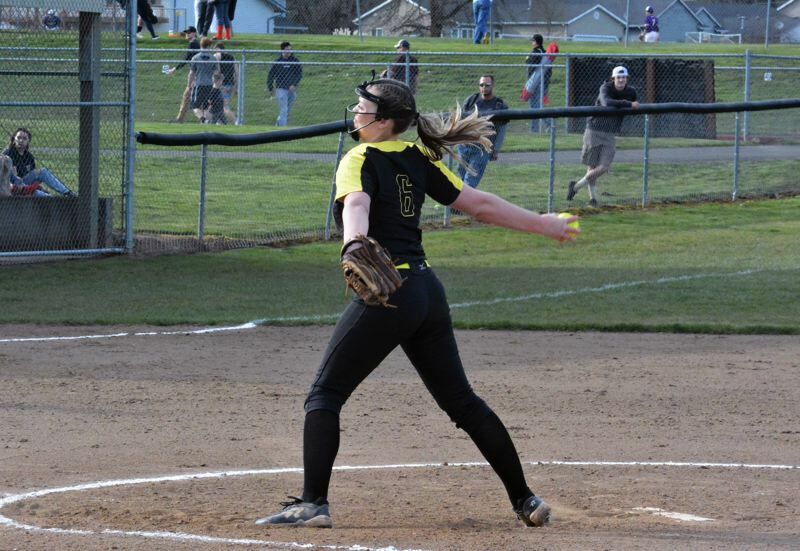 Sophomore relief pitcher Alise Gump ensured the edge stayed safe, coaxing two pop outs with the tying run on second base in the top of the seventh to secure the 5-4 win at St. Helens High. With a sigh of relief, Little and the Lions (1-1) had their first victory of the season. "As much as it drives me insane, I know the girls thrive in those pressure situations," Little said with a laugh. "Even though I'm having a heart attack in the dugout, the girls are just cool as cucumbers. They're like, 'Bases loaded with no outs? No problem, Coach. We won't let them score.' It freaks me out every time, but they pull through when they need to." 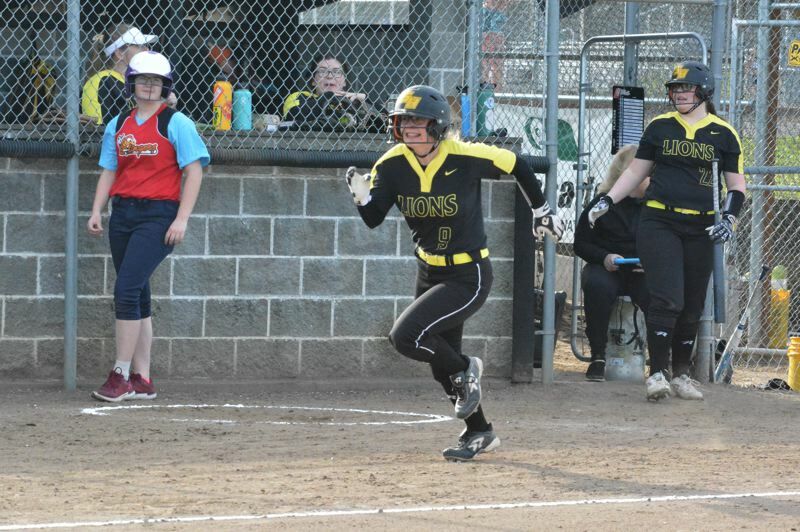 St. Helens stormed to a 3-0 lead in the bottom of the first, when senior shortstop Taylor Dow smoked a two-run double to left that skirted through the Bulldog left fielder's legs near the fence and scored sophomore Pense and junior Dessa Cooper standing. Then senior center fielder Kaily Smith slapped a ball to right that landed inside the foul line and plated a sliding Dow to make the score 3-0. Sophomore pitcher Brea Paulson put runners on first and second with one out, but the righty buckled down, striking out the next hitters to get out of the top half of the first. And, in the fourth with the bases loaded and St. Helens leading 3-1, Paulson froze a South Albany hitter with something off-speed to get the third out and escape the jam. The RedHawks responded, scoring in the fifth to pull within 3-2. Then, St. Albany banged a go-ahead, two-run homer in sixth against Gump to go up 4-3. Yet, there was no sense of panic among the Lions as they ran into the dugout for the bottom of the sixth. Cooper laid down a perfect bunt on the infield dirt and stole second to lead off the frame. Then Pense followed suit, laying down a surprise bunt in the middle of the collapsing RedHawk infield to force a rushed throw to first. Cooper, one of the three fastest Lions, according to Little, was running on contact and scored from second without a slide. That set the table for Austin, a junior and St. Helens' team captain, who clubbed the go-ahead double. "I love seeing the drive this team has and the fact they don't give up," Little said. "It doesn't matter what the score is. They know there's always an opportunity to score as many runs as you need in any inning. At any point in the game, they can bust it open and score runs. They never give up. Even if they were down 15, they'd fight like it was a one-run ball game. I love that about them." Little said she was a bit worried after the Lions came out flat against Clatskanie in a 9-3 opening defeat on Monday. But with the first-game jitters behind them, St. Helens was able to flush that and go into the South Albany game with a clean slate. "They performed really well tonight," Little said after the win. "It was a little scary (against Clatskanie). I kept saying that we have the circus in town for one day only and then everything had to be gone. So, seeing them open up today and solidify that (the Clatskanie game) was a fluke made me a feel a lot better." St. Helens will spend the first two days of spring break at the Jesuit/Mountainside tournament. On Monday, the Lions will face Jesuit at 9 a.m. and Tigard at 11 a.m. On Tuesday, St. Helens has an 11 a.m. matchup with Tualatin and a 1 p.m. first pitch against Mountainside.